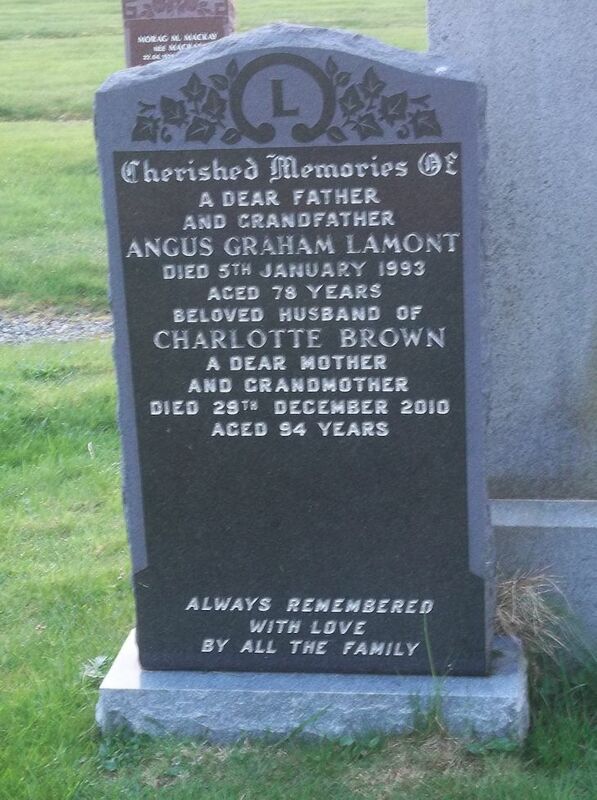 Skye Gravestones | Angus & Charlotte (Brown) Lamont. Angus & Charlotte (Brown) Lamont. Cherished memories of/a dear father/and grandfather/ANGUS GRAHAM LAMONT/died 5th January 1993/aged 78 years/beloved husband of/CHARLOTTE BROWN/a dear mother/and grandmother/died 29th December 2010/aged 94 years. Always remembered/with love/by all the family. Picture Added on 22 May 2018.